I’m a huge fan of their Buffalo Chicken Crunch Rolls, and almost always order them. But this time, I decided to check out their brunch. 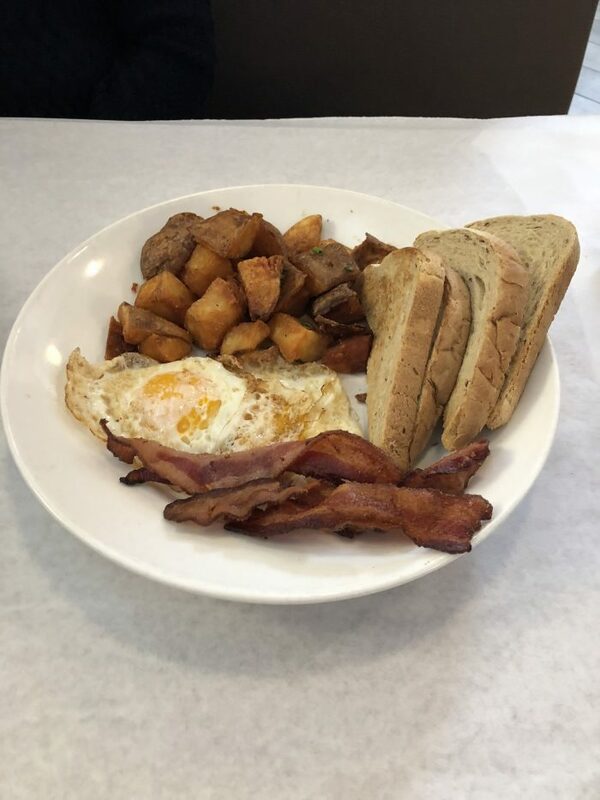 Mac’s Breakfast Platter: 2 over-easy eggs, home fries, choice of candied bacon or sausage patties and toast. 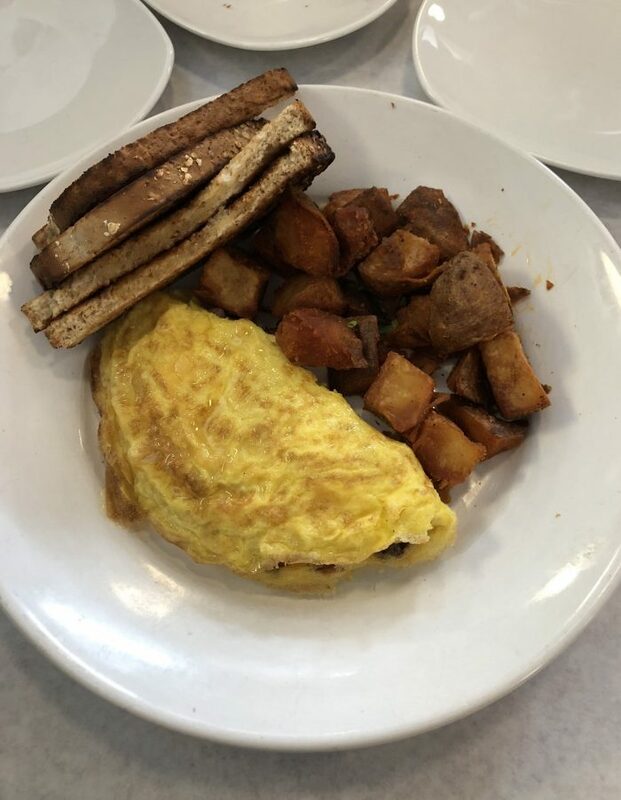 Truffle Denver Omelet: Three egg omelet filled with diced potatoes, ham, onions and fire roasted poblano peppers, and white truffle oil. Served with home fries. 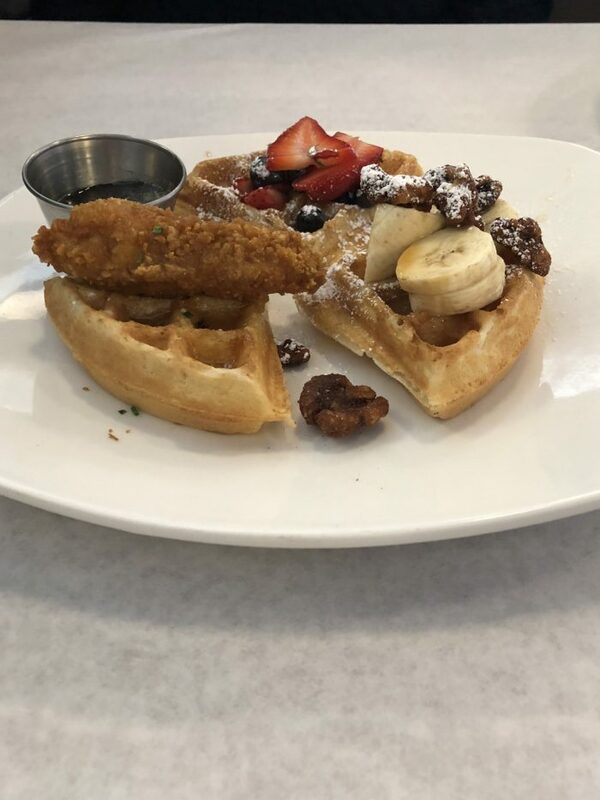 Waffle Flight: One waffle covered with marinated berries and crispy bacon, one with sliced bananas, walnuts and caramel, and one with a chicken tender, maple butter and chili oil. When it comes to brunch, potatoes are my #1. If the potatoes are done right, nothing else matters. And these ones checked all my boxes. They are crispy on the outside, puffy on the inside, and extremely well-seasoned. Our table unanimously agreed – Mac’s home fries get 5 stars. Full disclosure, I normally do not eat bacon. Crazy I know. But this smoky, yet sweet candied bacon may convince me to convert. The bacon lovers at my table agreed the flavor and texture were oh so right. I have a weakness for everything and anything truffle, so I had to try this omelet. A little bit of truffle oil goes a long way, and when combined with the eggs the result is an extra fluffy omelet. The rich, savory flavor of the oil complements the bite-sized pieces of ham and veggies perfectly. The waffle flight includes three very different flavor combos. Keep in mind, the samples only add up to ¾ of a whole waffle. I recommend ordering this if you can’t decide which waffle to order as a full portion or as an appetizer to share with the table. My overall impression: breakfast basics trump everything. After trying all three entrees, I have to say the basics have it. 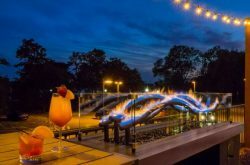 My recommendation? 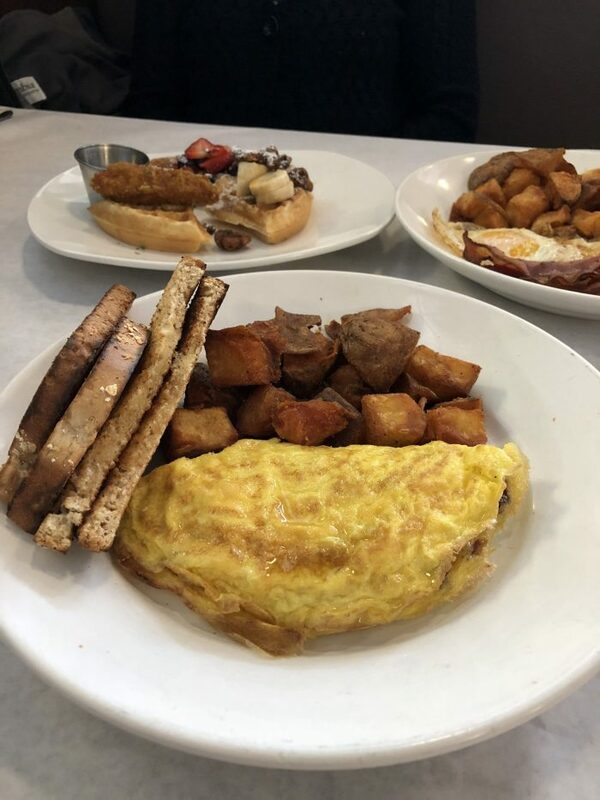 Start with mimosas (obvi), order the Mac’s Breakfast Platter or the Truffle Denver Omelet with a side of bacon, and get the Buffalo Chicken Crunch Rolls to go! 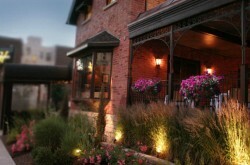 Open Saturday & Sunday for Brunch from 11 a.m. – 3 p.m.